Marinette Marine Success Story | Team Industries | TEAM Industries Inc. Extremely stringent technical and quality requirements prove too much for some fabricators, but never for Team. 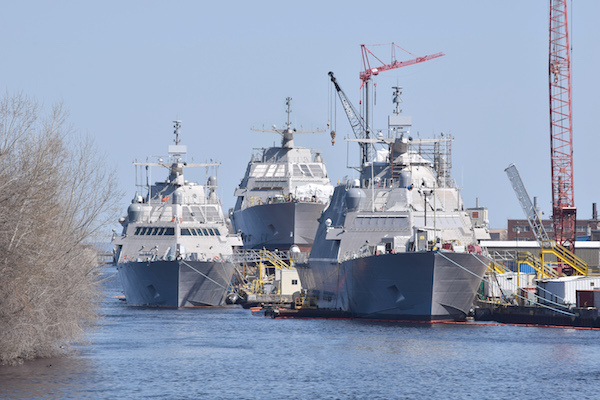 The U.S. Navy relies on Marinette Marine to build sophisticated, state-of-the-art naval ships, and Marinette relies on Team to fabricate pipe for these impressive vessels. Team was chosen for our unrelenting commitment to deliver superior-quality pipe fabrications on-time.